We love taking stationery to the edge—hand-painted edges at that. Take a look at our latest stationery and wedding invitations, available hand-painted to your specifications in over 35 rich colors. In our popular new Social Stationery line, we offer hand-painted edges on our super-soft, Heavyweight letterpress paper. (Makes you want to reach out and touch it, yes?) 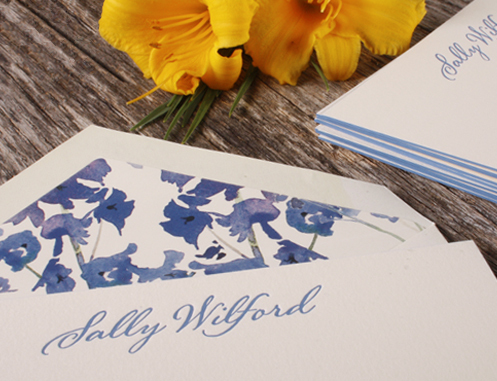 With our proprietary calligraphic font in Marine Blue, its luxury is palpable. To see how this item looks personalized with your name, click here. An ultra-thick business card with hand-painted edges? Why yes, you do mean business! And the sheer dash of the cards on the top right will certainly get you noticed. Engraved in black and gold with snappy black edging, these ecru cards are simply unforgettable. 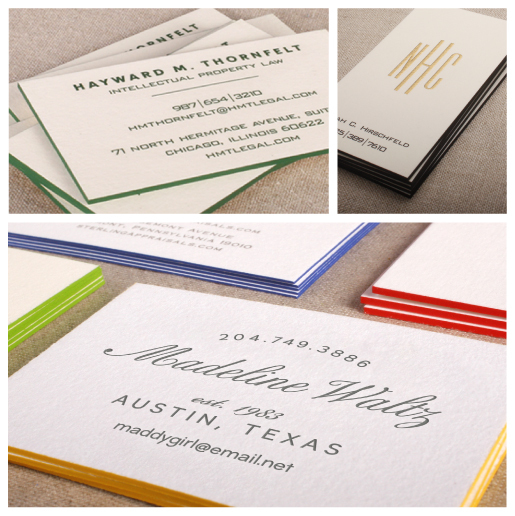 We offer hand-painted edges on all four sizes of our business and calling cards, in four luscious paper stocks. 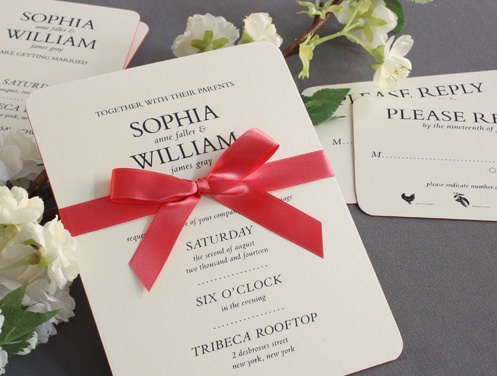 Brides are loving our round-cornered invitations with hand-painted edges. To see how this design looks with your wedding particulars, click here. 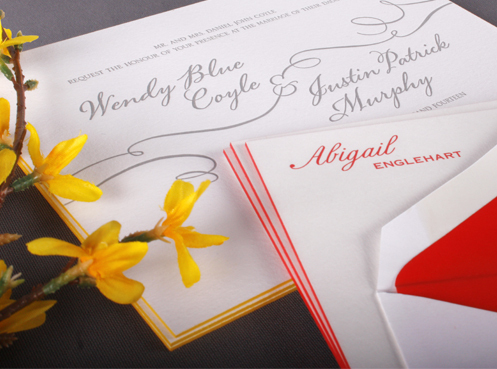 To view our complete offering of social stationery and wedding items available with hand-painted edges, visit a William Arthur Dealer.